Serving the public isn’t enough for journalism, the Northeastern University professor says. His new book The Wired City taught him that the public first has to be created, nurtured, and given a voice. Editor’s note: Our friend Dan Kennedy has a new book out, and it’s right up Nieman Lab’s alley. 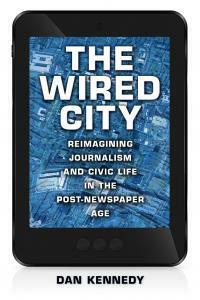 The Wired City: Reimagining Journalism and Civic Life in the Post-Newspaper Age takes as its subject local journalism in cities where new online outlets — some for-profit, some not — have set up shop. 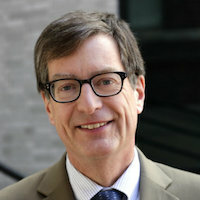 His primary focus is New Haven, Connecticut, where the New Haven Independent has been one of the new world’s biggest successes. In this piece, Dan examines the main lessons he took from reporting and writing the book, which you should read. We’ll have an excerpt from the book and a more thorough interview with Dan later this week. I had driven to New Haven on this day in late November 2010 to see if Paul Bass, the founder and editor of the New Haven Independent, could pull off an audacious experiment in civic engagement. The Independent, a nonprofit online-only news organization, is the principal subject of my new book, The Wired City. The subtitle — Reimagining Journalism and Civic Life in the Post-Newspaper Age — reflects my belief that news can’t survive without public participation. What we got that night was full immersion. Stage right, Ravitch sat with 11 other people — principals, teachers, school officials, a high school student, a board of education member, and the like. Stage left, a half-dozen media folks and elected officials, including Mayor John DeStefano, were liveblogging the event. The forum was webcast on television and radio, as well as on the websites of the Independent and the New Haven Register, the city’s daily newspaper. Viewers at home — and, for that matter, those in the auditorium who had laptops — were able to engage in a real-time, online conversation with the livebloggers. Afterwards, readers posted a total of 53 comments to the two stories the Independent published (here and here). The archived video was posted as well. Finally, in a touch that seemed almost old-fashioned, the 200 or so people who attended were invited to line up at two microphones during an extended question-and-answer period. C.W. Anderson, in his book Rebuilding the News: Metropolitan Journalism in the Digital Age, writes that “journalists [report] the news in order to call a particular form of public into being.” Along similar lines, I argue in The Wired City that creating a public is at least as important as reporting on its behalf. No longer can it be taken for granted that there is a public ready to engage with news about last night’s city council meeting, a speech by the mayor or plans by a developer to tear down a neighborhood landmark and replace it with yet another convenience store. In researching The Wired City, I learned that the readership for the New Haven Independent comprises a wide swath — elected officials, city employees (especially police officers and teachers), leaders and activists in the African-American community, dedicated localists, and members of what struck me as a surprisingly large and politically aware group of bicycling advocates. The “wired city” that I argue the New Haven Independent brought into being is a community built around local news, empowered by the “lighter and cheaper tools” that have become available during the past decade and a half. Through events like the Diane Ravitch forum, through carefully (if not perfectly) curated user comments, and through the now-taken-for-granted convenience of always being just a few clicks away, the Independent has succeeded not so much as an entity unto itself but as the hub of a civic ecosystem. 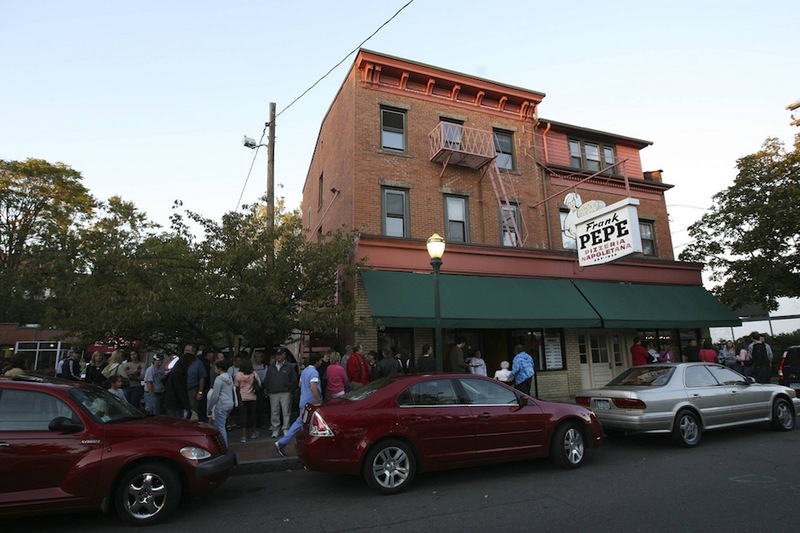 Photo of the line at New Haven pizza institution Pepe’s by eschipul used under a Creative Commons license. Kennedy, Dan. "Tracing the links between civic engagement and the revival of local journalism." Nieman Journalism Lab. Nieman Foundation for Journalism at Harvard, 4 Jun. 2013. Web. 24 Apr. 2019. Kennedy, Dan. "Tracing the links between civic engagement and the revival of local journalism." Nieman Journalism Lab. Last modified June 4, 2013. Accessed April 24, 2019. https://www.niemanlab.org/2013/06/tracing-the-links-between-civic-engagement-and-the-revival-of-local-journalism/.